Frank Gifford had CTE; doctors call for end of high school football. Frank Gifford at the Broadcasting & Cable Hall of Fame Awards in New York City on Oct. 20, 2009. 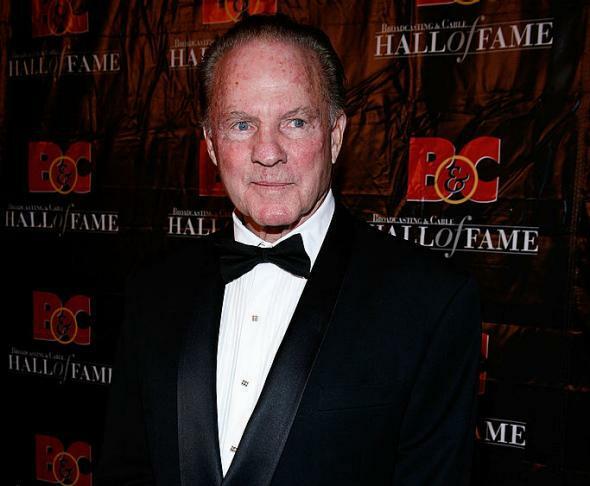 Former New York Giants star and NFL broadcaster Frank Gifford suffered from Chronic Traumatic Encephalopathy, a degenerative brain disease, his family announced in a statement on Wednesday. (Gifford passed away in August of this year.) The news coincides with the pre-publication of an editorial in the prestigious American Journal of Bioethics calling for an end to public school tackle football programs. CTE is only diagnosable after death and has been discovered in nearly 90 NFL players whose brains were donated to science. Some of these players showed symptoms of memory loss, depression, and dementia while they were alive. During the last years of his life Frank dedicated himself to understanding the recent revelations concerning the connection between repetitive head trauma and its associated cognitive and behavioral symptoms—which he experienced firsthand. We miss him every day, now more than ever, but find comfort in knowing that by disclosing his condition we might contribute positively to the ongoing conversation that needs to be had; that he might be an inspiration for others suffering with this disease that needs to be addressed in the present; and that we might be a small part of the solution to an urgent problem concerning anyone involved with football, at any level.